It all comes down to Iowa State and Georgia Tech just like the 1972 Liberty Bowl, right? It's Conference Championship Week! Except for you Big12, you don't have enough friends. It's amazing how the move from the BCS to the Playoff changed the conversation. Last year there were four BCS bowls which means we were anxiously waiting to find out what eight teams would be playing in the premier bowls. Even conferences historically void of media attention for unclear reasons Big East/American got some press this week in years past. Now though, it's all about the Top 4. All four of the Playoff Committee's Top 4 are playing this weekend so there are a few chances for upsets thus resulting in all hell breaking loose. Let's see what games are coming up and then I'll predict how different outcomes might impact those Top 4 standings. #9 Kansas State at #6 Baylor - (ESPN) This game is really for second place in the Big12 if you ask me, and by reading this blog you basically are asking me so there you have it. KSU's QB Jake Waters was probably the biggest surprise at QB for me this season. He looks fantastic and will create problems for Baylor's defense even though that is not unique. Baylor's entire strategy is to score far far more points than their opponents can, which they've done well considering that they've scored more points than anyone else this season. Great players to watch in this game by the way. When KSU has the ball look for QB Jake Waters, WR Tyler Lockett, and Baylor's DE Shawn Oakman. When Baylor has the ball watch out for QB Bryce Petty who is playing with a broken back, WRs Antwan Goodley, Corey Coleman and Freshmen KD Cannon, along with KSU's great team defense. Kansas State wins 42-40. I want to elaborate a little on Baylor though. Baylor should not be rewarded for scheduling probably the weakest out of conference opponents possible and backing their way into the Playoff. The Playoff was created to foster a better fan experience and rewarding a team with a great record by way of playing lower tier schools is not a better fan experience. I hope the Committee considers this and puts them somewhere around #20 if they lose to Kansas State. Seriously let's look at the top teams in the Big12 and who they played out of conference. #13 Wisconsin vs. #5 Ohio State - (FOX) The story of this game has been repeated breathlessly as Ohio State undereducated 3rd String QB takes the reins of Urban Meyers evil empire after the loss of 2nd String QB and newcomer of the year JT Barrett broke his ankle in the Michigan game last weekend. I say undereducated because of the tweet below this paragraph. Here is a man committed to the Buckeye way. Be proud Ohio. Wisconsin has the best defense in the Big10 and the best Runningback in the country still walking on both legs. Ohio State has more talent at every position than the Badgers. Can the team with superior athletic talent and a domineering coach win the day with his 3rd string dummy QB? Or will Wisconsin play more mistake free and pound the rock thus keeping the ball out of Ohio's hands thereby diminishing their ability to run up the score? Should be fun to watch. I think Ohio State is the better team and would win more games if this was a series but it's not and given their up and down season, the 3rd string QB making his first start, and the tragic loss of a teammate last week I'd be surprised if they were able to mentally cope with the constant pounding of Melvin Gordon and the Badgers suffocating defense. Wisconsin wins 35-31. Cardale Jones, going places with an Ohio State degree. It's Conference Championship Week! 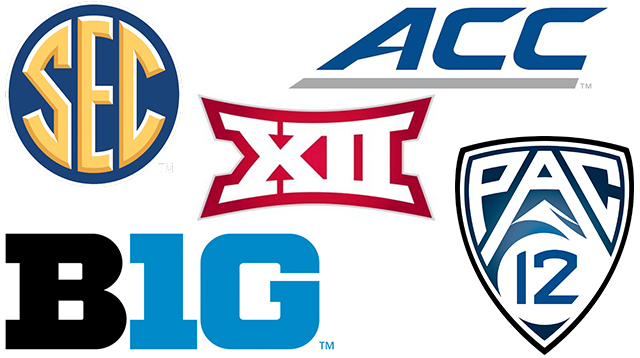 With the Big12 totally copping out and not playing a conference championship game because not enough teams want to be in their conference, they will most likely have co-champions which means there will be six conference champs vying for the final four playoff spots. Now that the regular season has ended let's see who's doing what in our polls and how my picks looked for last week. Here are two slightly snarky but good videos of what makes the College Football Playoffs.